Nestled between the Coast Range, the Pacific Ocean, and Wine Country, San Luis Obispo County is the perfect weekend getaway in California. We spent two days enjoying the beauty, signature attractions, and dining of the region to see why it’s been called “America’s happiest city”. From the breathtaking landscape to the diverse activities, we fell in love with San Luis Obispo County. We checked in to La Cuesta Inn upon arrival. It’s a boutique hotel in the city offering a unique combination of comfort, convenience, and hospitality. It was the little touches at the hotel that really made me feel like I was home. They had fresh cookies and drinks at the front desk along with cozy seating. The rooms offered toothbrushes, razors, specialty soaps, and make-up removers. A local bottle of wine was waiting for me and I drank it with my friend on the cute patio. I felt like I was in my backyard. In the evening, we enjoyed the free DVDs offered in the lobby. There were a lot of choices for all interests. (Ok, maybe not all interests.) Athena and I chose a family-friendly movie about a dog and cuddled up in bed to watch it. In the morning, the complimentary breakfast really hit the spot. There were breads, fruit, drinks, and spreads. It really did feel like I was waking up in my own home and grabbing a bite to eat before hitting the road. There are tons of dining options in San Luis Obispo but I was told I couldn’t leave without trying Old San Luis BBQ. It’s a “hole-in-the-wall” restaurant with the best BBQ in town. I ordered the Chicken Sandwich and a Hand-Scooped Milkshake. The portions are huge and you could easily share but I quickly learned what makes everyone so happy. It was delicious. I didn’t think you could get good BBQ like this on the west coast. I felt like I was back in North Carolina at our favorite local shop. We dined on family-style benches and rustic wooden tables. It was the atmosphere that I missed the most from North Carolina and it was recreated here. We were already downtown and another signature attraction was just around the corner. Recently featured on National Geographic’s Strange Planet travel trivia, Bubblegum Alley is one of the funkiest attractions in San Luis Obispo. 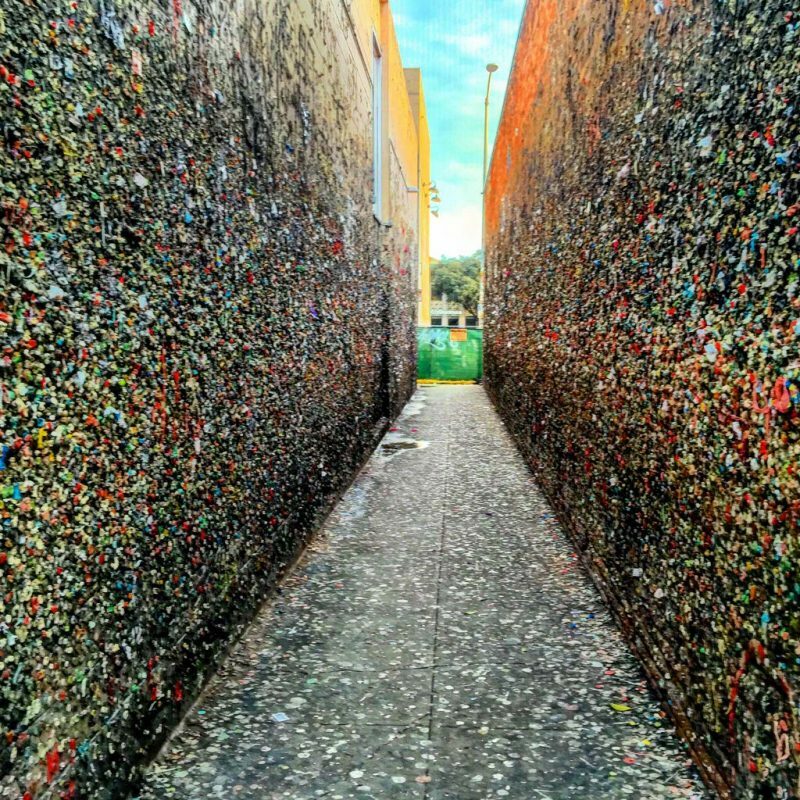 Thousands of pieces of chewed gum line a 70-foot-long alley wall just off Higuera Street, between Garden and Broad streets. That guilty look on Athena’s face is because she swallowed her chewing gum before she could stick it on the wall at Bubble Gum Alley. Round two was more successful. but in your belly is too much. My favorite stop in San Luis Obispo County is Hearst Castle. 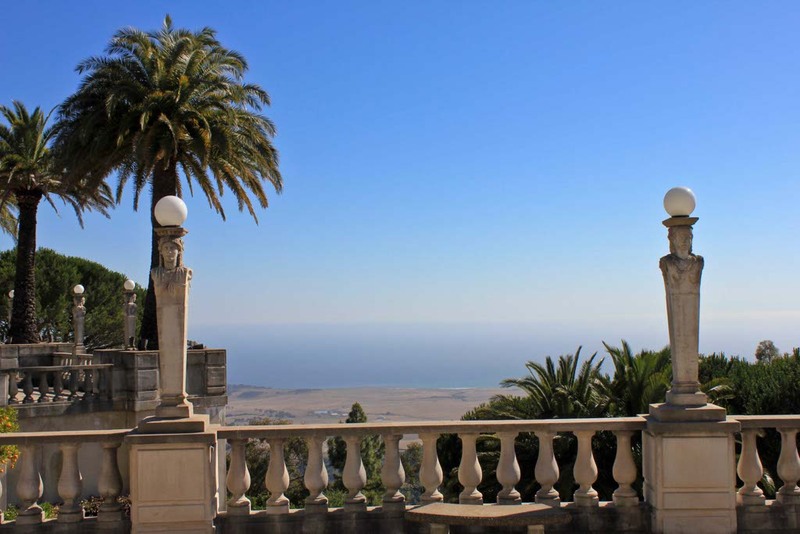 William Randolph Hearst’s publishing empire spans the globe and his dream home spans the mountains in San Luis Obispo County. Hearst’s “simple summer home” includes golden swimming pools, guest houses, and massive gardens overlooking expansive ranch lands and a rugged coastline. 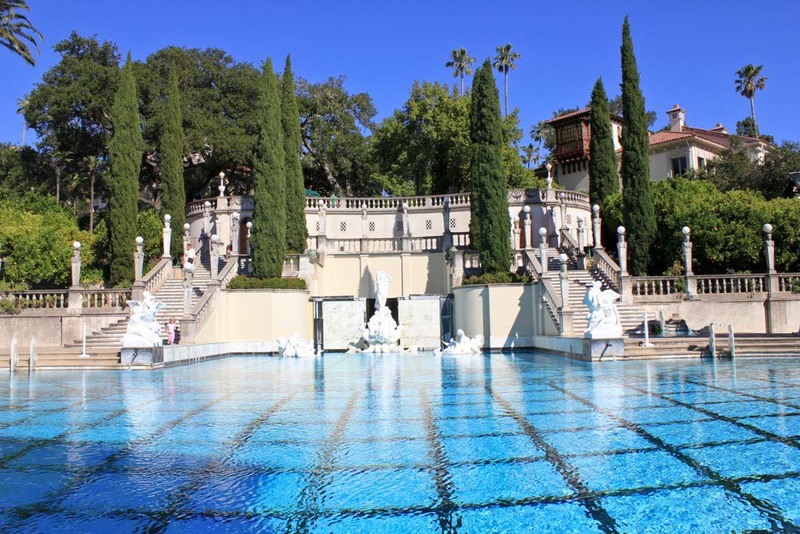 On our tour of Hearst Castle, we experienced what it was like to be a guest of W. R. Hearst. We explored his personal collection of rare and ancient works of art, encountered the majesty and beauty of this historical treasure first-hand, and envisioned jumping in the massive pool. It took a lot of convincing to keep Athena from jumping in. What else would a pool be doing there if it wasn’t for us to swim? While I loved her rational, I figured our visit would be short lived if we starting swimming in the pool. I don’t imagine it was heated either so we had a few reasons not to take the leap. Only a few minutes up the street from Hearst Castle is yet another really cool find. 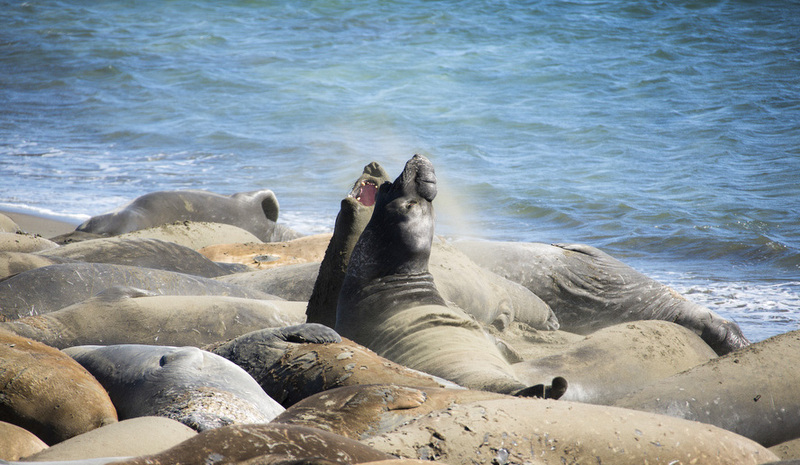 Elephant seals can be seen at a rookery near the Piedras Blancas Light Station in San Simeon. More than 7,000 elephant seals live at the rookery, which is open daily. Bluffs to the north and south of the parking lot are the recommended vistas for viewing the seals, but you can see them as you’re driving along the highway as well. It seems like you’d have to go someone like South Georgia to find so many elephant seals yet they were right here in my own state. California really does have everything. With San Luis Obispo County as the starting point, the opportunities were endless. We were just getting going when we had to leave. 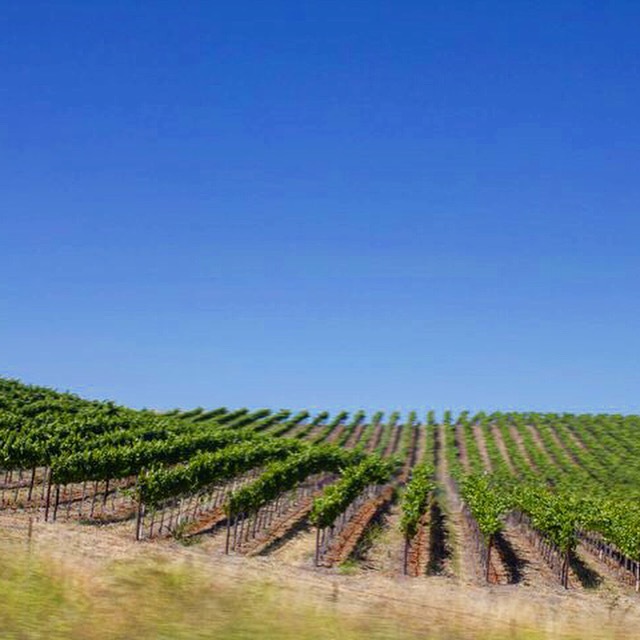 On our next stop, we want to indulge in the wine culture and get in a few hikes. There aren’t enough hours in the day in this state. With constant sun, great dining, an abundance of nature and adventure, and the most spectacular scenery, we’re all happy here. To follow more of our California adventures, like our visit to San Luis Obispo, check out our Weekend Road Trip to Tuolumne County, A Journey into California’s Gold Rush, and Fall Family Fun in Camarillo. Is SeaWorld San Diego Going Under? 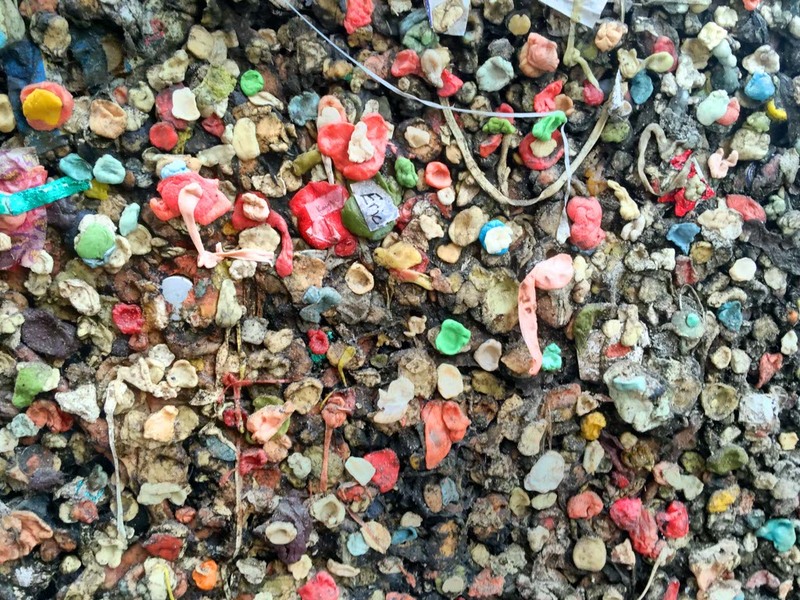 Wow, the gum – kinda yucky but so colorful. Beautiful estate on the ocean! The gum was yucky but it was fun to participate. It’s cool to be part of something that so many people were part of. Hearst Castle is amazing. We’ve visited a few times now and the views never get old. Looks like fun! And oh that wall. There was one of those in Seattle but they decided to scrape it all off. It’s gross but sad that it’s gone. I heard about the gum wall in Seattle. I didn’t know this was such a popular thing. It’s interesting what becomes a tourist attraction, right? NC BBQ is the best! We live in NC and love it here. I will have to remember San Luis Obispo on our next trip to CA, I want to see the Happiest City. What part of NC are you from? We lived near Charlotte and loved the food and the people. The weather wasn’t my favorite though. That bubble gum alley is interesting. Ha! I guess there is something for everything these days. Looks like a fun place! It’s like the new saying, “there’s an app for that.” Fun what becomes a tourist attraction, right? What a great trip! You’re pictures are beautiful. I have mixed feelings about the gum walls, but they’re weirdly really pretty. It’s odd, right? It is completely disgusting but it was sort of pretty too. The BBQ looks great. I need to add it to my travel bucket list! Gorgeous gorgeous pictures! We saw the gum wall in Seattle and I gotta admit it grossed me out a bit! 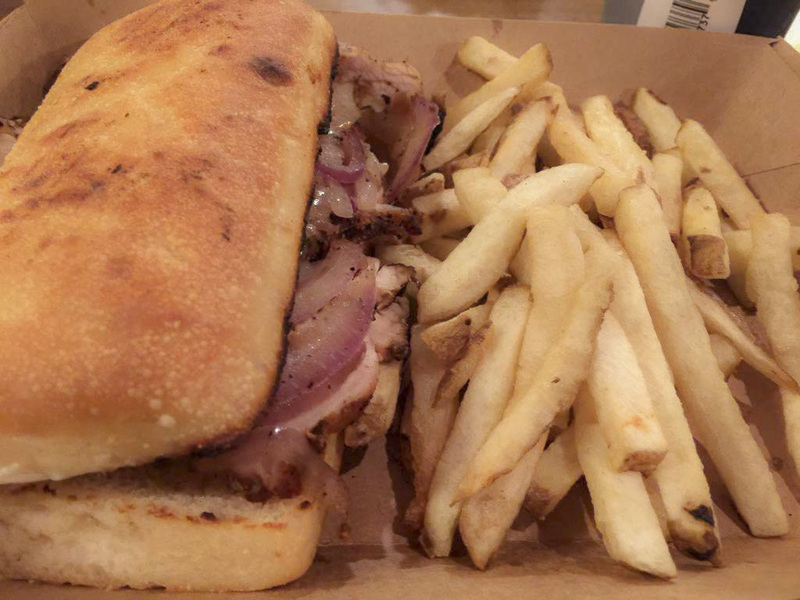 🙂 I love finding a hole in the wall place to eat too – that BBQ looks amazing! We love SLO! There are some great wineries in the area and a visit to Cambria is always fun! I’ve been in San Louis Obispo a couple of times so far and visited Hearst Castle, but had no idea about the alley of the chewed gum. I don’t want to say it’s not an original idea, but sounds a little crazy to me. To they consider this art? Just curious. I don’t think it’s considered art. I saw it in a few different places during my travels. It’s sort of like the bridges with all the locks on them. I guess it’s just a way to add a tourist attraction to a place. Do you think you would participate? My husband and I have visited San Louis Obispo often especially when we were first married. Heavenly weekend getaway when we lived in CA. There are so many cool cities and towns to visit in California. Do you have a favorite? I try to take her with me as much as possible. She’s a great little traveler. I’d love to show her the world. This looks so awesome! From the wine, to the BBQ to the seals…yeah, I could see why everyone is so happy! Until I saw the pictures of the Hearst Castle I had completely forgotten that I had visited San Luis Obispo. It was a long, long, long time ago, but I remember it being very pretty. I must go back someday. Oh, looks so lovely there. I was planning to stop there on our roadtrip in the US during the spring/summer. But we’ve changed our plans now and won’t be going there. Hopefully next time! I really want to see the Elephant seals someday! What an amazing place to visit. 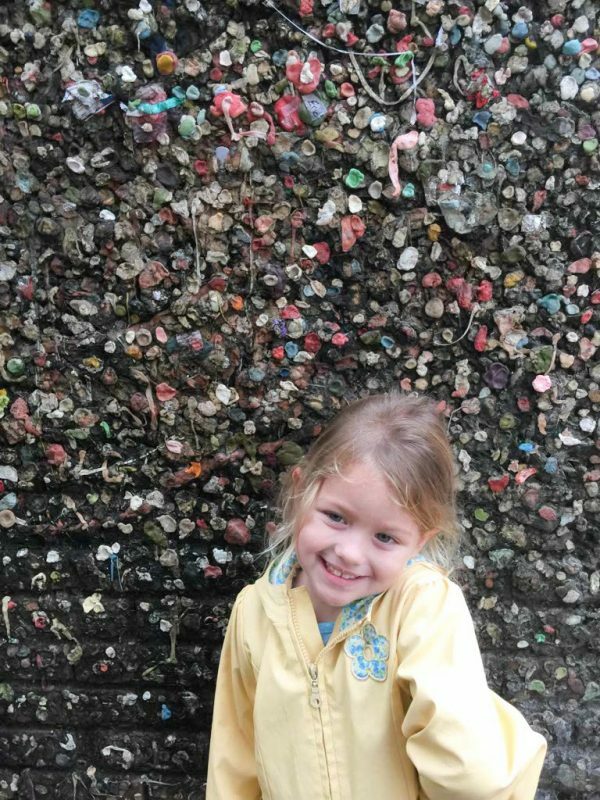 The gum walls look kinda icky, but I bet it was fun for those who stuck their gums there. Well, that bubble gum wall is kinda weird. Gross but interesting. lol! On your last picture I thought that it was only one Elephant Seal, then my hubby pointed all the other which I thought that were rocks! This looks like a great place to visit, although I’m not gonna lie, the gum wall grosses me out just a tiiiiiiny bit lol. Glad you had an awesome time! Wow. This city sure is full of character! Thanks for the overview, Lesley! I would love to leave my mark in bubblegum alley and be part of that once mundane tradition turned tourist destination. It seems really awesome too to see the extravagance of the Hearst castle and end the day being humbled by witnessing elephant seals roam around freely. ummm bubblegum alley…that kind makes me vomit a bit in my mouth. It looks like paradise, with artistic gum! Nothing beats good BBQ sauce and a good milkshake. OMG, Bubblegum Alley. I don’t know how I feel about that. My mom would die. I’d want to participate though haha..
SLO how I have missed you! I need to get back up there soon!